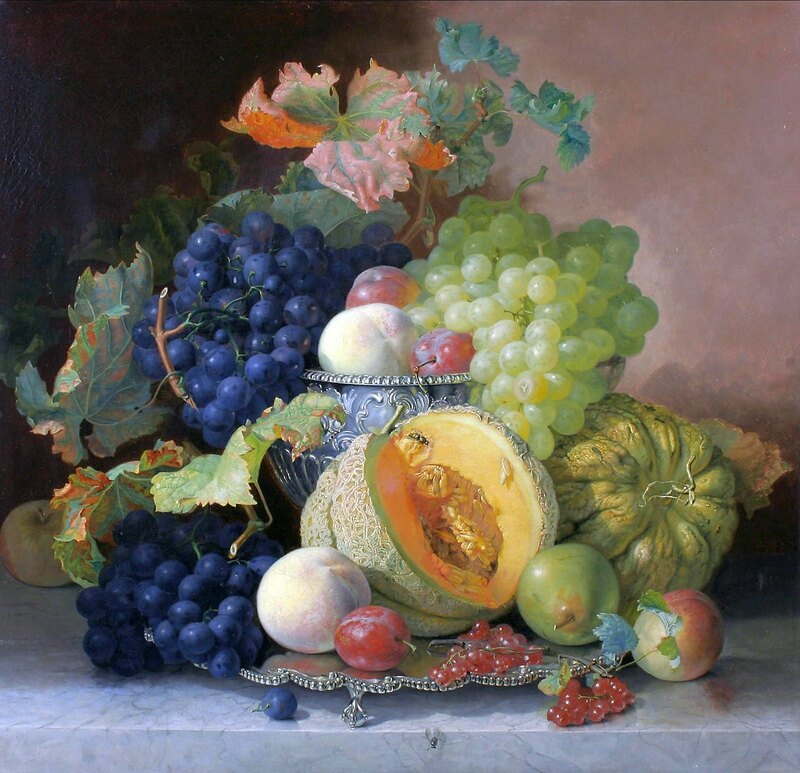 English painter Eloise Harriet Stannard (c. 1828 – 1915) completed this exquisite oil on canvas still life of grapes, melon, pears, plums, and peaches, partially contained within a silver bowl, in 1865. Posted in Artwork, Big Picture | tagged art, artwork, cantaloupes, fruits, grapes, masterpiece, melons, paintings, peaches, pears, plums, still life, women in art. The permalink.